They all do that huh? Lewis will not say a word to Grandma on the phone but after the call is over he has tons of stuff to "talk" about LOL. 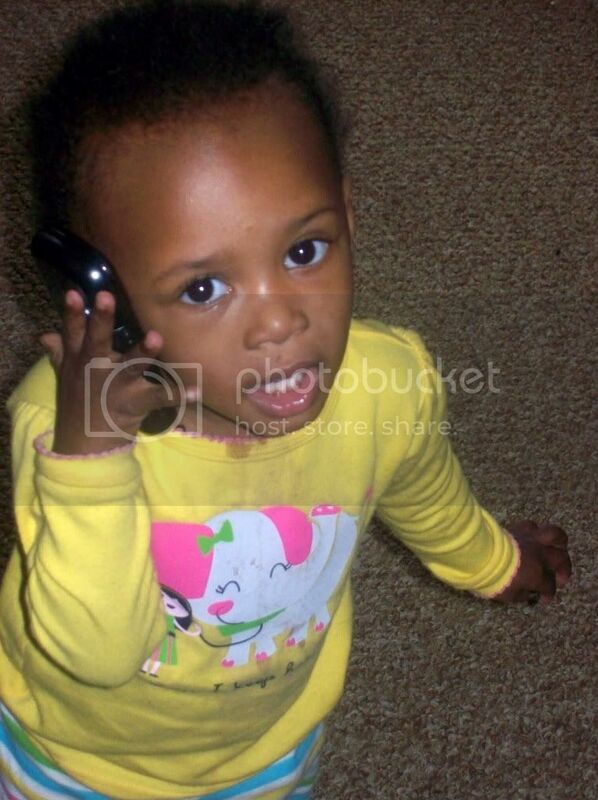 A few weeks ago my soon to be 3 year old was wanting the phone when a telemarketer called. I finally gave in, and gave him the phone. He kept saying, "No! I Isaak Jaxon Apel!" over and over again. I was laughing so hard! Ha ha!! So stinkin cute!! Cedella does this All. Day. Long. She walks around with the phone up to her head saying "Hi Dad". Maybe they can call each other? LOL! Kids sure do love our expensive electronics! What a cutie! Me too! I really break out in hives if I forget it at home! broxton is the same way!!! Uh oh. I see an unlimited minutes, texting, web family plan in your future! How cute! My girls did the same thing. Now they love talking on the phone. Howdy fellow Texan! Visiting you from the Global Blog Hop. Have a great day! I feel like this phase goes on forever. My three year old still loves to get a hold of my cell. He's called a few people too. People I didn't necessarily want to talk to at the time. Miss V also does that! She has just started actually talking to people on the phone in the last couple of months. I hate when she gets my phone, however, because she manages to reprogram it and add contacts. Once, when hubby was watching her, he let her play with the house phone and she called 911! They called back, but since she was playing with it, the line was busy. So the police came to the house to make sure everything was okay. Let's just say that I am sure glad that I was not home at the time, I would have died of embarrassment. Even hubby was embarrassed and he has a high embarrassment tolerance. He learned a valuable lesson about watching her better when she has a phone.